The Knife is a good steakhouse in Bayside with all-you-can-eat menus that includes water, a bottle of wine, dessert, and access to a large buffet of appetizers, pasta, vegetables and excellent grilled meats, all at a fair price of $25.75 for lunch on Saturday (it costs less during the week). The restaurant is located on the second floor of the main building of the Bayside Marketplace, just across from the Hard Rock Café. The view of the bay is very beautiful and even the air conditioning is kept at a human level .. definitely recommended! 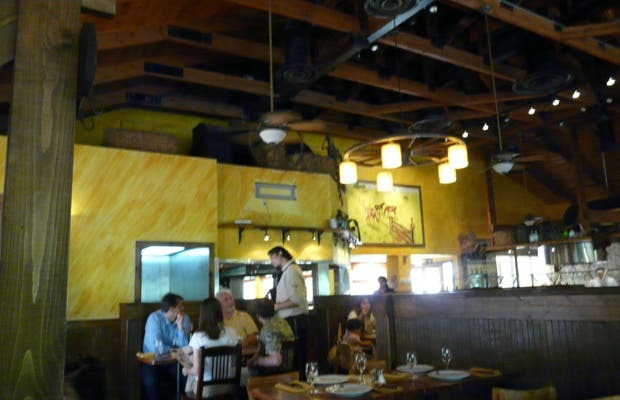 Restaurante Argentino has an open bar with several cuts of meats, baked potatoes, roasted peppers, provolone cheese and other delicious options. The price is very good for the experience and it includes unlimited bar, a bottle of wine and dessert.